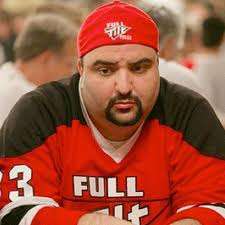 At a hearing in federal court on Friday, lawyers for former Full Tilt Poker CEO Ray Bitar revealed that Bitar has a “medical condition” that is materially impacting his Black Friday criminal case. Appearing before the Hon. Loretta Preska, lawyers for the U.S. Attorney’s Office said that plea discussions in the case had been “superseded by a medical condition of the defendant.” Bitar’s lead lawyer, renowned financial trial lawyer Jack Baughman of the Paul Weiss firm, then requested that the courtroom be cleared before discussing Bitar’s condition. He also asked that the transcript relating to that portion of the hearing be sealed in order to protect Bitar’s privacy. When the courtroom was re-opened, Judge Preska summarized the closed-court discussion by saying, “The medical condition that [Bitar] faces makes it critical he try to resolve this case.” She granted a continuance in the case for another month in order to allow the parties to engage in plea discussions, although Baughman intimated that the timing of the next hearing could be dictated by Bitar’s condition. Bitar, named in April 2011 as one of the eleven Black Friday criminal defendants, surrendered to federal authorities in New York on July 2, 2012. Upon his surrender, the Department of Justice unsealed new charges against him relating to events that occurred after Black Friday. At the time, the USAO argued that Bitar was a flight risk and sought to deny him bail. They eventually agreed to a bail package that included a $2.5 million bond, the surrender of Bitar’s passport, and home confinement in Bitar’s $2.9 million mansion in Glendora, CA between the hours of 9pm and 9am each day. Bitar has remained in California ever since. Publicly, the case has not displayed any sign of advancement since Bitar surrendered. Four different hearings that were scheduled for the second half of 2012 were postponed. Court filings suggest that the two sides have been conducting discovery and attempting to negotiate a plea deal, but Bitar’s lawyers refused to comment on the status of any plea discussions. The prosecution of Bitar is one of the last loose ends remaining from Black Friday. Seven of the other 10 named criminal defendants have already pleaded guilty in the case. The remaining three — PokerStars owner Isai Scheinberg, PokerStars executive Paul Tate and Absolute Poker co-founder Scott Tom — are never expected to return to the U.S. to face the charges against them.